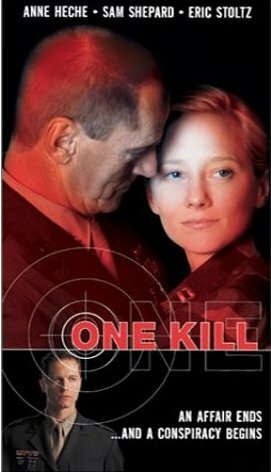 One Kill is a courtroom drama set in a military base and loosely based on a true story. It was written by Shelley Evans and directed by Christopher Menaul. 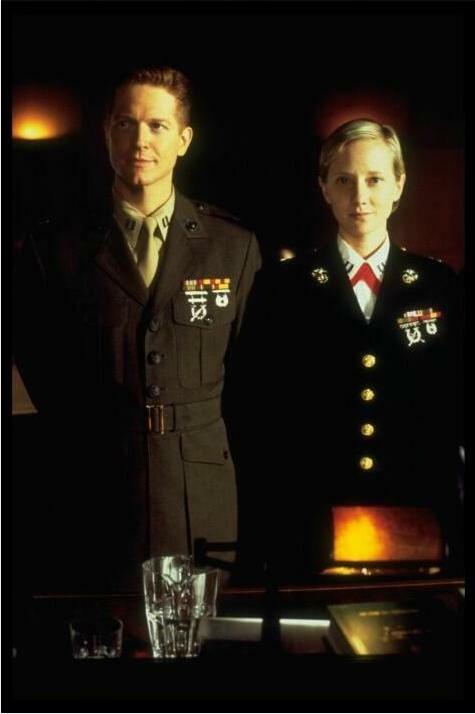 Anne Heche stars as a Marine captain on trial for murdering her superior officer (Sam Shepard) and Eric plays her defense attorney. The film was made in Toronto in the fall of 1999 and it premiered on Showtime in August 2000. When Captain O’Malley becomes romantically involved with her superior officer, Major Nelson Gray, she is unaware that he is married. Once the truth is discovered, O’Malley calls off the affair. However, Gray refuses to let go and one evening breaks into her home: O’Malley shoots him in self-defense. What follows is a tension-filled courtroom case, with a determined lawyer trying to uncover the truths from the cover-ups before his client is court-martialed. The film was only released on VHS in the U.S., but is available on DVD in France (as Code d’honneur) and Germany (as Tod eines Offiziers).